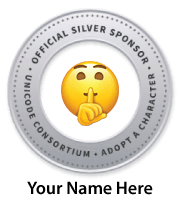 The new Emoji 5.0 set was finalized in March 2017, making it available for vendors to begin working on their emoji fonts and code ahead of the release of Unicode 10.0, scheduled for June 2017. The Emoji 5.0 specification is now final as well. The specification has become a technical standard, adding conformance clauses and enhanced syntax definitions. A general mechanism for emoji tag sequences has been added, initially used for country subdivisions such as Scotland. The Emoji_Component property has been added, for filtering out characters from keyboard palettes. The design and usage guidelines have also been enhanced.